Thornhill is a picturesque village in Mid Nithsdale, Dumfries & Galloway. 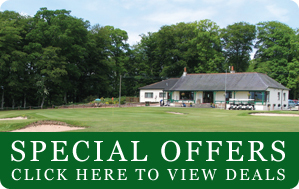 The golf club was established in 1893 as a 9 hole course and extended to 18 holes in 1979. 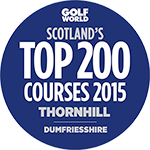 The course is a mixture of park and heathland with magnificent panoramic views which are equal to any in Scotland. It has been often described as a “hidden gem”. At 6102 yards, over relatively level terrain the course provides a good test for all golfers and is friendly to those of mature years. The Club has a fine record in amateur competition, boasting honours in national team and single events. Several members have gone on to enjoy successful professional careers, the most notable being Andrew Coltart.